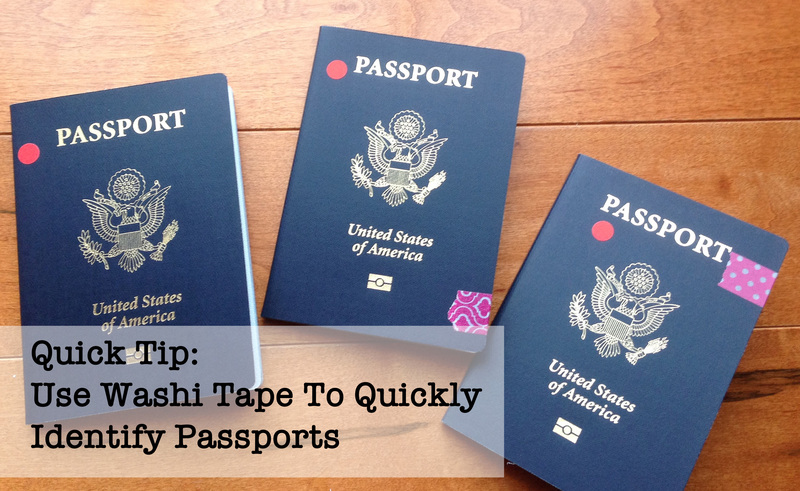 Quick Tip: Use Washi Tape to Quickly Identify Passports | Dream. Depart. Explore. We have our passports in covers. Protects them from wear and makes easily identifiable. At customs we usually go together, so we just give them the whole stack – doesn’t matter who’s first.